Durham University student editor has been fired as a result of a transphobic row. He tweeted that 'women don't have penises' which caused an outburst. Previously, the Typical Student team told you how to get rid of your old tweets if you want to get a job. Looks like, this advice could help you further in a career. But back to Durham, check the details of the scandal. 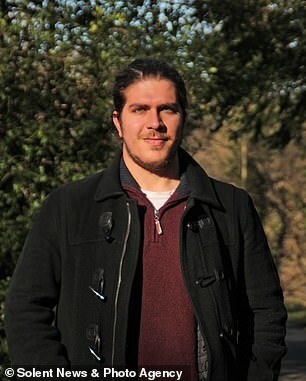 Angelos Sofocleous, 24, from Cyprus, is an assistant editor at 'Critique' philosophy journal in Durham. He was fired from his job days after writing a tweet most of his fellow students deemed 'transphobic'. As told by DailyMail, only a month ago, the ex-editor faced disciplinary action for a similar incident. Sofocleous re-tweeted an article by The Spectator titled 'Is it a crime to say women don't have penises?' and commented on it: 'RT if women don't have penises'. Naturally, the now-deleted tweet sparked outrage among students and a "row around Humanism, trans rights and freedom of speech." Christopher Ward, the former chair of LGBT Humanists claimed the post was 'factually incorrect.' Here's what he wrote: "As former chair of LGBT Humanists UK, the opposition I experienced from a number of longstanding Humanists members to trans people and trans issues was a stain on an otherwise great organisation." "And here's the new President of Humanist Students RTing horrific transphobic s**t."
In resonse, Sofocleous stood by his actions and wrote: "I may be wrong and women might indeed have penises, although I don't believe that to be the case." Surprised by such a massive backlash "that took place after [his] comments", he continued: "No effort was made, beyond name-calling, derogatory comments, and ad hominem statements, to convince me of the truth of the other side's position." Ryan Lo, the president of the university's Philosophy Society commented on the situation with Sofocleous firing: "We do not tolerate practices of racism, sexism, or trans-exclusionary sentiments." Sebastián Sánchez-Schilling became the new editor-in-chief of Critique. He took to Twitter to say the publication would not be 'tolerating trans-exclusionary radical feminists or bowing to their pressure'. UK Student’s Breasts Were Immortalized With Sexist Row!